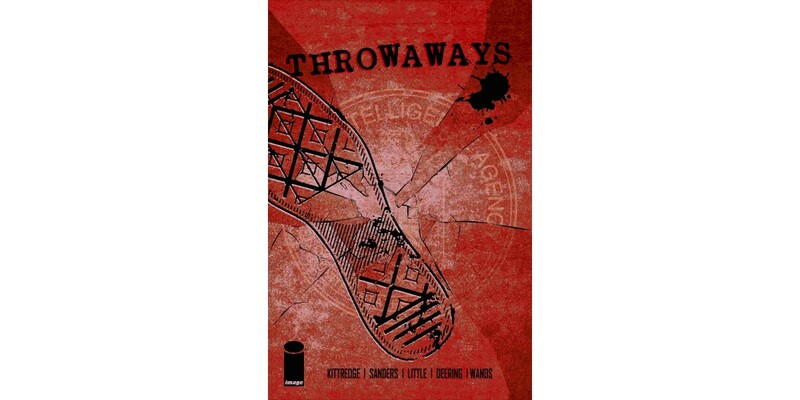 Current: Kieron Gillen calls THROWAWAYS "one to keep"
Writer Caitlin Kittredge (Coffin Hill, Hell) and artist Steven Sanders (Wolverine) will release the first volume of their high-speed, high-stakes spy thriller THROWAWAYS in trade paperback this December. Abby Palmer and Dean Logan are two broken people with something in common: they're both victims of a brutal government mind control experiment—and they're the only two who escaped alive. When the program finds them again, each becomes the other's only chance to survive. The program gifted them both with abilities beyond a normal human's imagination, and as Dean and Abby realize what was done to them, they're determined to use those abilities to destroy the program and its sinister architect once and for all. THROWAWAYS, VOLUME 1 (ISBN: 978-1-5343-0029-3) hits comic book stores Wednesday, December 21st and bookstores Tuesday, December 27th, and will be available for $9.99. It can be ordered by retailers with Diamond code OCT160669, and it is available for preorder on Amazon, Barnes & Noble, Indiebound, and Indigo.